City, Verna, Ciaz significantly more popular than the rest. Skoda Rapid enjoys greater popularity than the VW Vento and Toyota Yaris. Toyota Yaris still sees sluggish sales despite being the second newest offering after Ciaz facelift. Sedans, in general, are losing popularity to SUVs. If you take into account February sales of the last 3 years, the market share of sedans has come down from 20 per cent to 16 per cent, while that of SUVs has grown from 16 per cent to 20 per cent. Within the compact car segment, sales of the top 3 best selling sedans only come close to the top selling compact SUV, the Hyundai Creta, which has been consistently clocking around 10,000 monthly sales. In the short term, the popularity of the compact sedan segment has remained stable, but this segment is dominated by just three cars (Honda City, Hyundai Verna and Maruti Suzuki Ciaz). For a deeper picture, let’s take a look at the sales figures and supporting statistics. 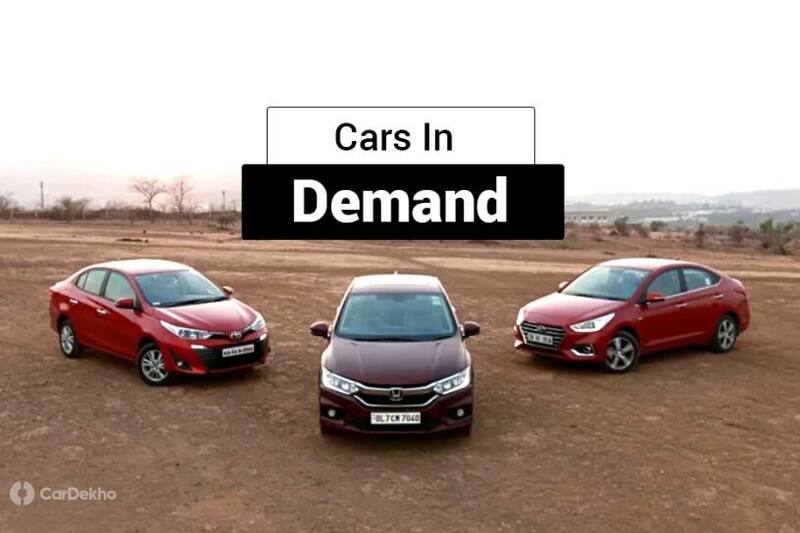 The trinity: There are three cars that drive the volumes in this segment: Honda City, Hyundai Verna and the Maruti Ciaz. Together, these three form around 86 per cent of total segment sales. Monthly and average (6 months) sales volume also suggests that the fourth most popular car in this segment manages less than one-third of the sales of any of the top 3 cars. Individual sales of two least popular cars -- Vento and Yaris -- come up to a little more than 10 per cent of the Verna. The claim for the top spot: While the City was the most popular car in its segment in January 2019, it lost the top spot to the Hyundai Verna in February. Overall, it was a close contest in February as only a few more than 200 units separated the top three cars this month. The topper Verna was only 26 units ahead of the City, which led the Ciaz at third by 189 units. You can gauge the intensity of the competition when you take into account the fact that the Ciaz, which is not the top-selling car in this segment this year, is the most popular car over the past 6 months. Top losers in February 2019: It’s interesting to note that the two month-on-month losers, the Honda City and VW Vento, are stacked at the extreme ends of the sales chart. The year-on-year share of every car grew except for the Vento and the Ciaz. The VW is awaiting an update for long and we can expect a new generation to come in a couple of years. Top gainers in February 2019: While the gains weren’t much in the segment, it was the Skoda Rapid that received the highest month-on-month demand, followed by the Ciaz facelift. As far as year-on-year demand increase is concerned, it was again the Skoda that stood out. The Czech carmaker introduced the Rapid Monte Carlo edition in February and started to offer 6-years warranty on the Rapid in March. Yaris popularity drops: It hasn’t even been a year since its launch and the Toyota Yaris seems to have already lost its sheen on buyers. Despite packing in some segment-topping features such as seven airbags and TPMS, the Yaris failed to find more than 450 buyers per month on an average. Dark horse: The Skoda Rapid is not among the top 3 cars by sales volume, but it is almost twice more popular than the Yaris and Vento. We don’t see the Rapid making its way to the top of the segment in the foreseeable future, but the next-gen Rapid might be able to make a greater impact than the current model. The new Rapid is expected in 2021 and it will be based on the MQB A0 platform, which will be shared with the upcoming VW and Skoda compact SUVs like the T-Cross and Kamiq, respectively. The Rapid is currently the most affordable and popular Skoda in India.